IACS is the youngest Association of the International Union of Geology and Geophysics (IUGG). For decades several attempts were made by the former International Commission on Snow and Ice (ICSI) to promote all Cryospheric Sciences and to elevate the study of the Cryosphere to a more prominent position within IUGG, from a Commission within IAHS to a separate Association under IUGG. With strong support and encouragement from the IUGG itself as well as from its Associations, particularly from IAHS the bureau of ICSI was able to put forward a proposal to the IUGG board during its Boulder meeting in 2004 advocating for the formation of a new association for the Cryospheric Sciences. 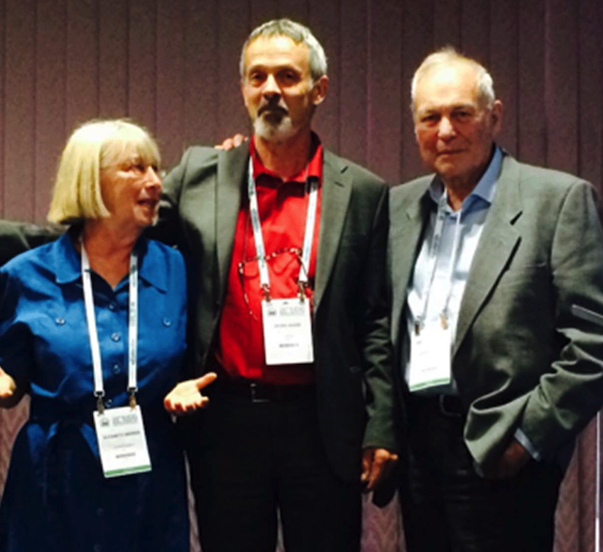 This work was lead by Past-Presidents Gerry Jones and Georg Kaser with help from the entire ICSI bureau as well as from the secretary of the IUGG, JoAnn Jocelyn and the NSIDC director Roger Barry. These efforts resulted in a clear vote within the IUGG governing body to consider a new Association by 2007, in conjunction with the IUGG Assembly in Perugia. In the mean time it was decided that a new commission called the Union Commission for the Cryospheric Sciences (UCCS) should be formed. The UCCS formally replaced ICSI and was organized directly under IUGG. At the IUGG General Assembly in Perugia, Italy, 2007, the IUGG Council voted for establishing an eighth Association under IUGG. The International Association for Cryospheric Sciences, IACS was born. To further the close and natural contacts that exist between the Cryospheric Sciences and the IAHS, a new commission has formed under IAHS called the Commission for Snow and Ice Hydrology (ICSIH). IACS maintains the good relations with the sister-Associations through e.g. joint assemblies and collaboration during Scientific and General Assemblies as well as through joint Working Groups. Barry, R. G., Jania, J., & Birkenmajer, K. (2011). AB Dobrowolski–the first cryospheric scientist–and the subsequent development of cryospheric science. History of Geo-and Space Sciences, 2, 75-79. Jones, H. G. (2008). From Commission to Association: the transition of the International Commission on Snow and Ice (ICSI) to the International Association of Cryospheric Sciences (IACS). Annals of Glaciology, 48, 1-5.